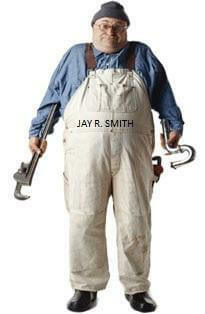 The U.S. Patent System and Manufacturers - Jay R. Smith MFG Co. Recently the Senate passed an overhaul of the U.S. patent system. The legislation culminates more than six years of lobbying and negotiations and covers every step of the patent process. It is the most significant change to the U.S. patent law since 1952. This will let the Patent & Trademark Office set its own fees and exercise greater control over its budget. Presently the agency has a backlog of almost 700,000 applications. The new procedures are supposed to allow these to be addressed as more examiners will be added to the staff. It is intended to reduce the length of time to examine an application. Under this bill, patents will be granted to the first applicant to file an application although the applicant may not be the original inventor. There will be a time frame established where this can be challenged by a third party. Many of the large technology companies backed the bill but many small businesses were opposed to it as they feel it will provide a benefit to larger businesses. Many backyard inventors feel this will eliminate their ability to compete with the larger better funded businesses. The government feels this is a positive move as it provides for higher quality patents and a more rapidly performing Patent Office. The bottom line is higher fees, more money for the Government to manipulate, higher quality patents (less of the frivolous ones) and a better performing patent office. Patents are important to manufacturers. The two primary types of patents are design patents and utility patents. Design patents are based primary on the appearance or ornamental design features of the product where utility patents protect the functional aspects of a product. Design patents are not as expensive as utility patents and their term is for a period of fourteen years. Utility patents term is twenty years from the earliest claimed filing date. 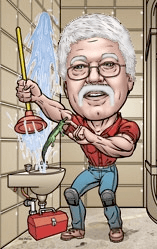 Utility patents have required maintenance fees after 3½, 7½ and 11½ years. Failure to pay the maintenance fees will allow the patent to terminate early. Speaking of patents, the first pate nt statute was enacted in 1790. A total of fifty five patents were issued between 1790 and 1793 and there were nearly 10,000 U.S. patents granted between July 31, 1790 and July 2, 1836. These patents were not numbered but were referenced only by name and date. After the Patent Act of July 4, 1836, patents were numbered and patent number 1 was issued on July 13, 1836. The patent office went back and numbered the older patents. A suffix ‘X’ was used to distinguish them from the newer patterns. The first patent ever issued became patent number 1X. Patent number 1 was issued to John Ruggles of Thomaston, Maine on July 13, 1836. This was for railroad traction wheels which were an improvement over the existing as this prevented the wheels from sliding on the rails during frost, ice and snow. Have a question, ask Uncle Smitty. 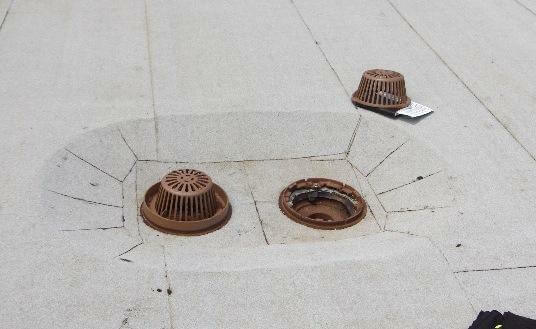 The primary roof drain (fig. no. 1010) is on the right. The secondary/emergency overflow drain (fig. no. 1080) is on the left. The 1080 with a 2” water dam is correct. However, the roof detail called for both drains to be in a 4” deep recess. When the recess fills with rainwater, it flows over the water dam collar discharging rainwater into the secondary/emergency overflow system. The solution was to replace the 2” high collar with a special 6” high collar. Hopefully, the roof structure below these drains is properly reinforced since there will be a substantial amount of weight in the recess during a severe rain event. The Family Feud television show recently asked the question: Out of 100 engineers surveyed, what were the top four answers when asked to name a type of interceptor? Attached is an interceptor check list indicating various interceptors and types of waste material that can be controlled. Smith developed and marketed the first lint interceptor in 1979. Other unique interceptors have been designed such as the fish scale interceptor. If you have an unusual application, inquire with Sales Engineering to see if it is feasible to manufacture.